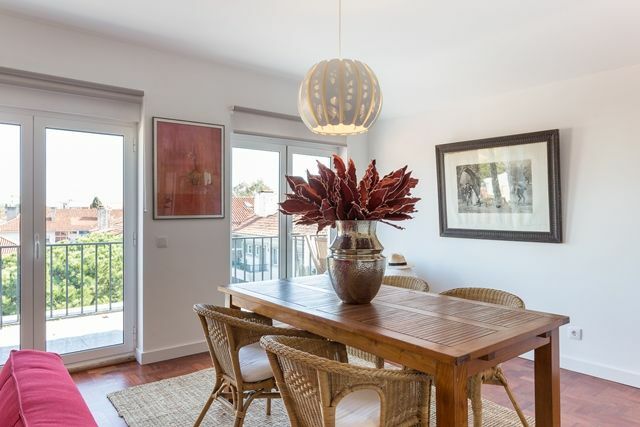 This charming apartment with plenty of panache is located near the old town of Cascais. It is a two-minute walk to the central square where you have restaurants & bars of every variety. You have on your doorstep the market with all its food halls and several excellent restaurants too. The bus, train station and a shopping mall can be reached in two minutes flat so no need for a car. The supermarket is located just 50m away but you can get all the fresh produce like bread, fruit, veg, cheese, fish/meat & lots more from the market just across the road. 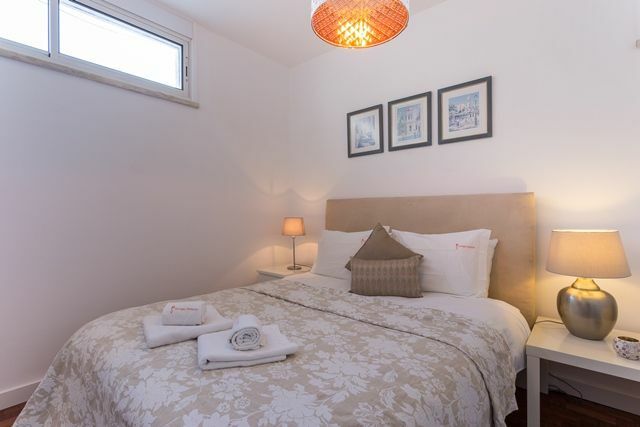 The main bedroom has a double bed of 160 cm and the living room a sofa bed of 140 cm. 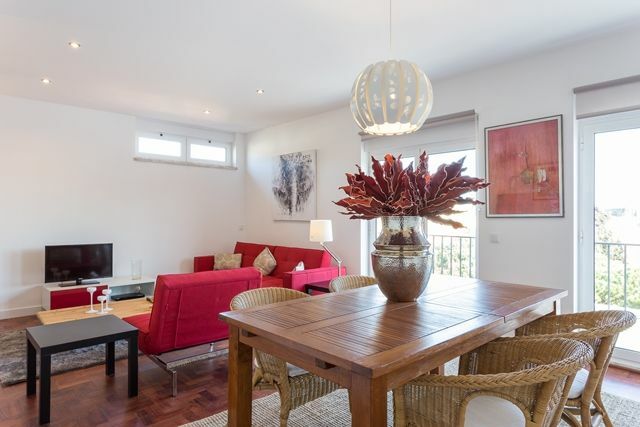 Open plan livingroom/diningroom to accommodate up to 4 people. 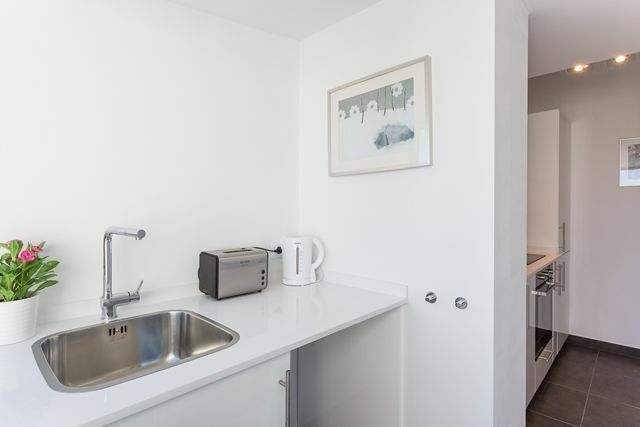 a compact but fully equipped kitchen with oven, hob, extractor fan microwave, washingmachine, fridge/freezer, kettle, toaster, coffee making machine. 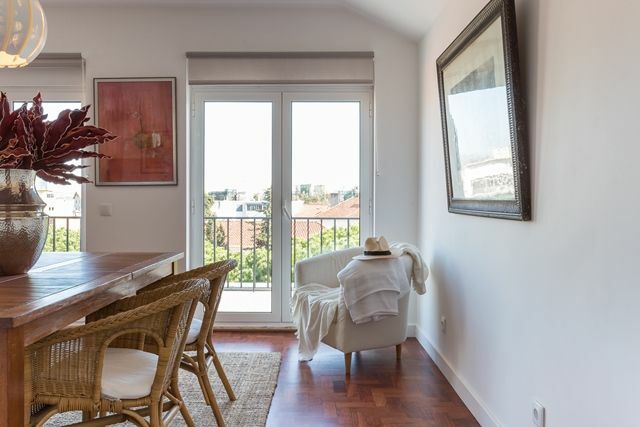 The bright and affordable apartment is less than a minute walk from the Cascais train station and is well suited for those who wish to venture a short way into Lisbon. 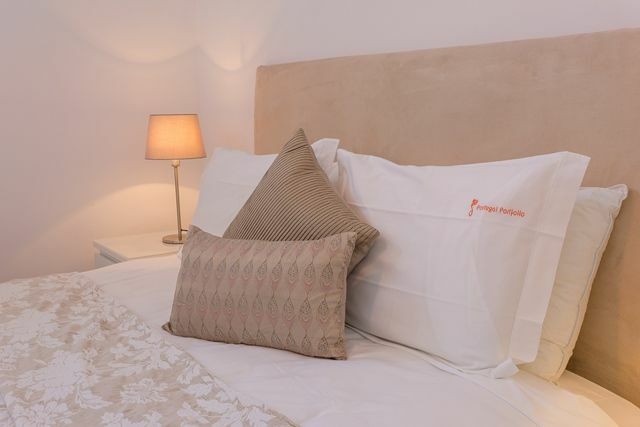 On one of the quieter cobble streets just off one of the main streets in Cascais it is a great alternative to a hotel. Lisbon & Lisbon Coast is an all-year-round destination. Summers, whilst warm are rarely oppressive and the cooling sea breeze keeps it comfortable even during the hottest months. 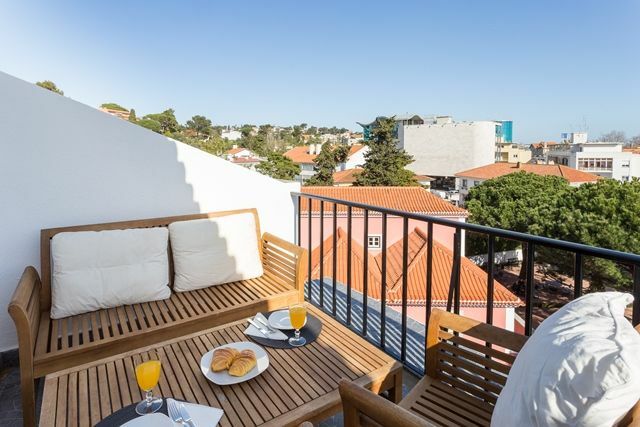 Very mild winters mean you can enjoy your short break in the winter sun in Lisbon. 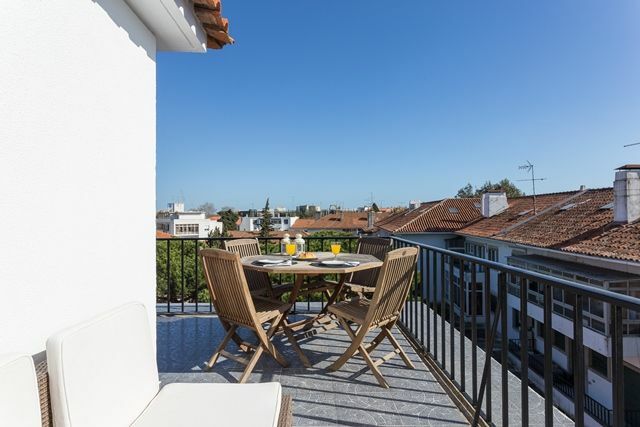 Located just off the main cobbled shopping street in Cascais, there is plenty to do and see in the area. 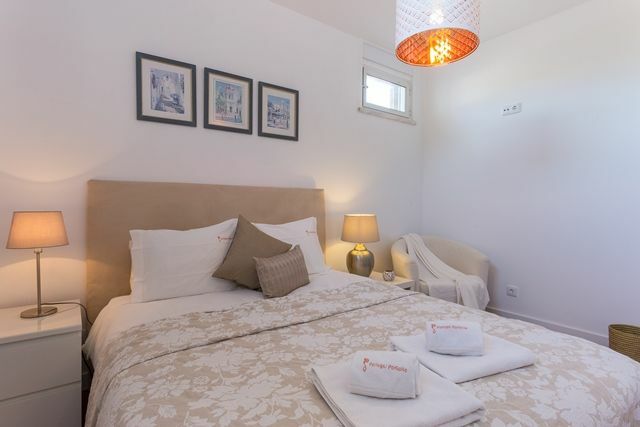 This holiday apartment is approximately 50m away from the nearest beach. 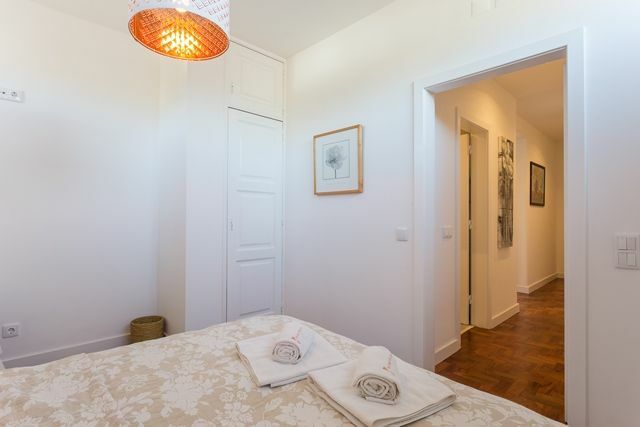 Visit the cultural centre 'Centro Cultural de Cascais' a short walk away or wonder through the Old Town of Cascais. 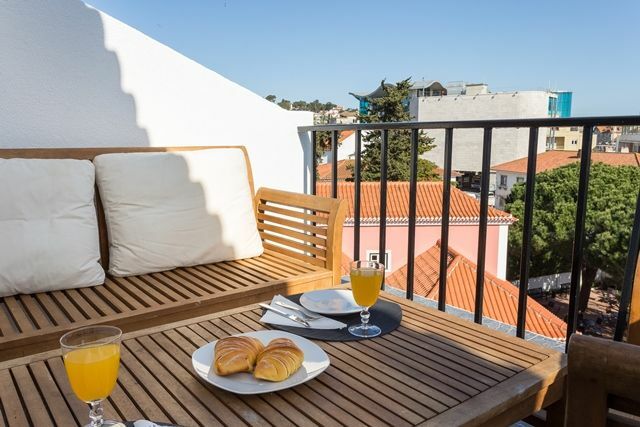 Only a minute walk away from the train station, this property is great for those venturing into Lisbon. 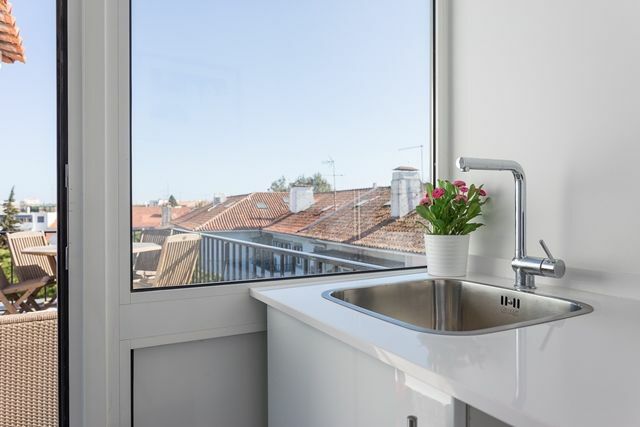 With a direct line straight into Cais do Sodre guests are merely 40 minutes away from visiting the historical areas such as Alfama and experiencing the nightlife of Bairro Alto. 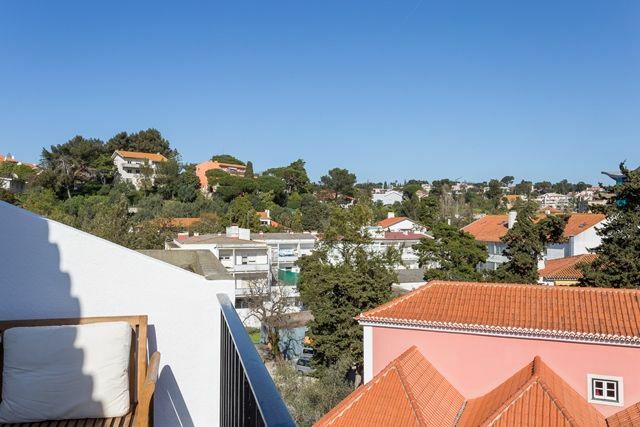 There are plenty of events going on in the area throughout the year and Cascais market in particular has become a hub of activity, offering various festivals and gourmet Portuguese food events. Check out out Facebook page of Blog for to keep updated with events in the area. You have on your doorstep the market with all its food halls and several excellent restaurants too. 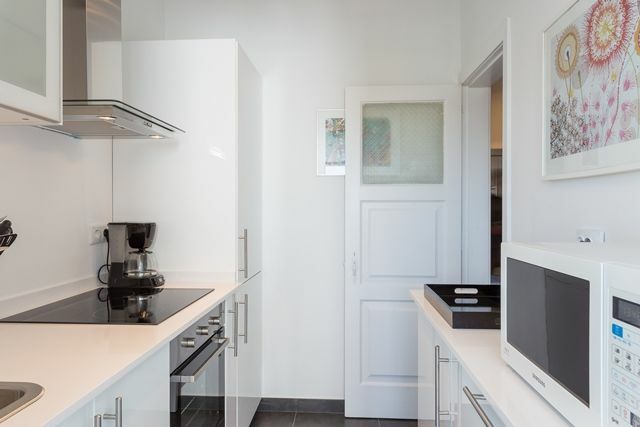 I’ve stayed at many rental apartments in the US and Europe. 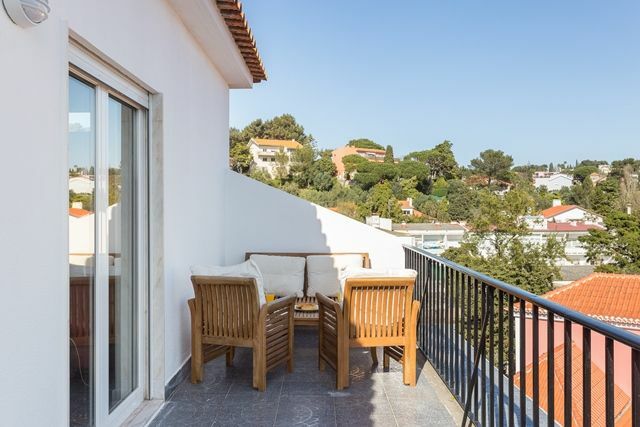 The Cascais residence provided by Portfolio Portugal is unquestionably among the best. 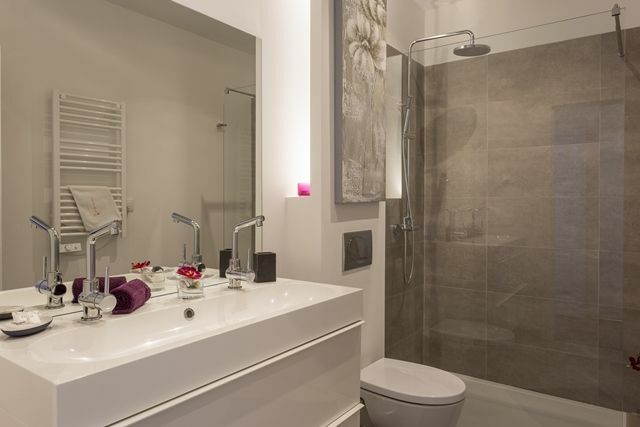 First, the condition of the apartment – it was spotless and well supplied. The floor plan of the apartment along with the wrap-around terrace made it feel much larger. 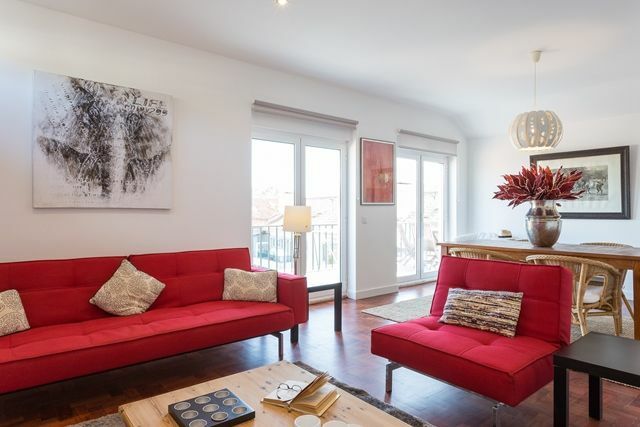 Second, the location – the word “convenient” does not do justice to how nicely this apartment is situated in town. It’s a ten-minute walk to anywhere: the beach, the bus station, the train station, the shopping mall, or the supermarket. In addition, the farmer’s market is literally across the street. 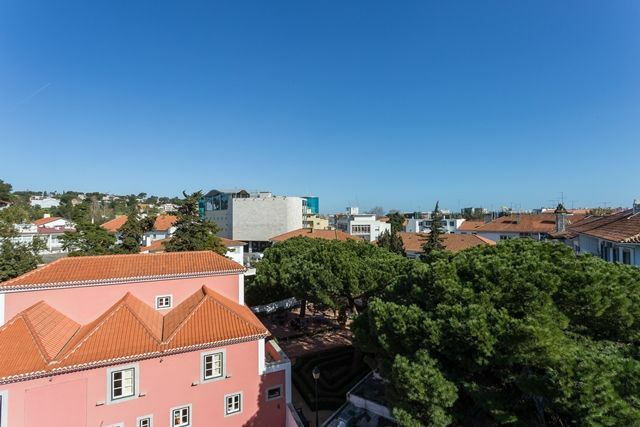 Third, the people at Portfolio Portugal – both online and in person, the folks we dealt with were eager to please, easy to work with, and very attentive. They helped make our stay even more pleasant. 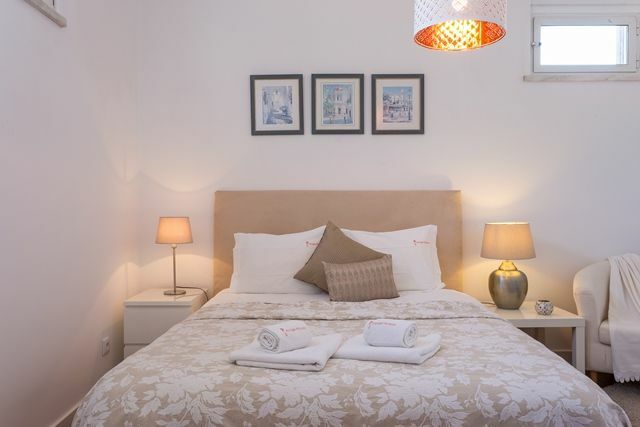 I cannot recommend Portfolio Portugal highly enough. 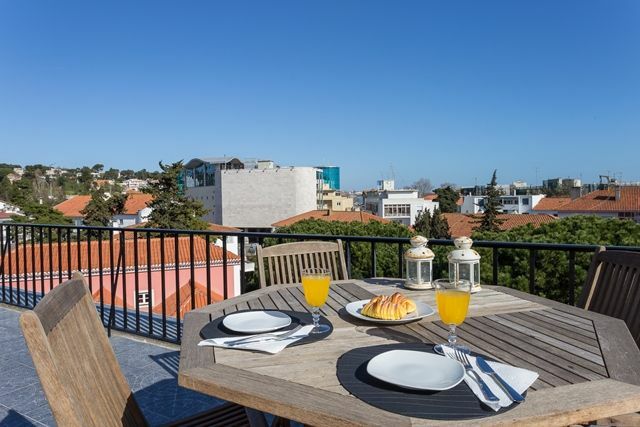 When I go back to Cascais (and I’m working on those plans as of this writing), I know I can depend on Portfolio Portugal to take care of us. 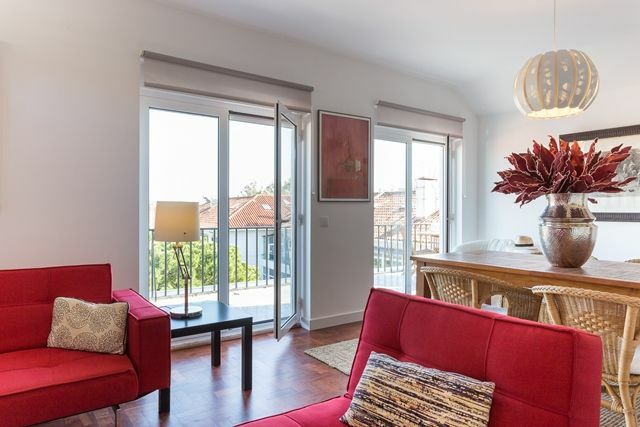 The apartment is of a high standard, just as it looks in the photos. We particularly enjoyed the balcony, and it’s very close to the restaurants and shops of the old town. Cassie from Portugal Portfolio was very helpful responding quickly to any queries. 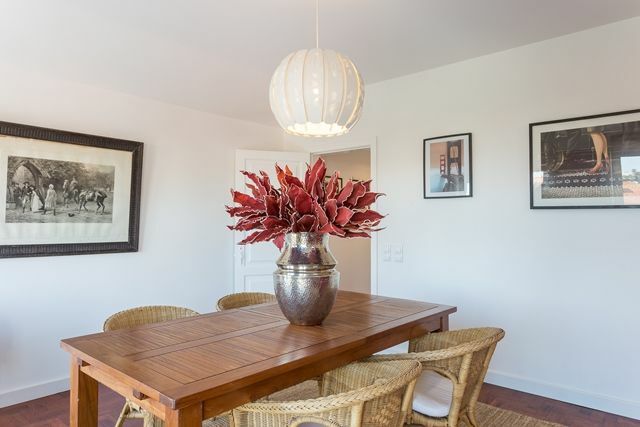 Thanks for wonderful Holidays in your Appartement "Park View". We enjoyed it very much. Cascais is a nice city, the market super. Marisa was very Kind and helpful. Ideal spot for beach ,eating ,amenities .Market right across road with bars ,food ,entertainment. Excelente lugar, Muy recomendable, era tal cual como en las fotografías y la anfitriona Muy preocupada de cualquier requerimiento nuestro. Le mejor experiencia para estar en Portugal. 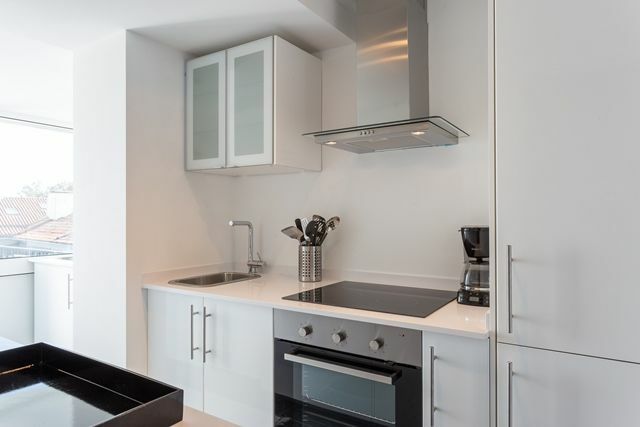 Schoon modere appartement op een centrale lokatie. 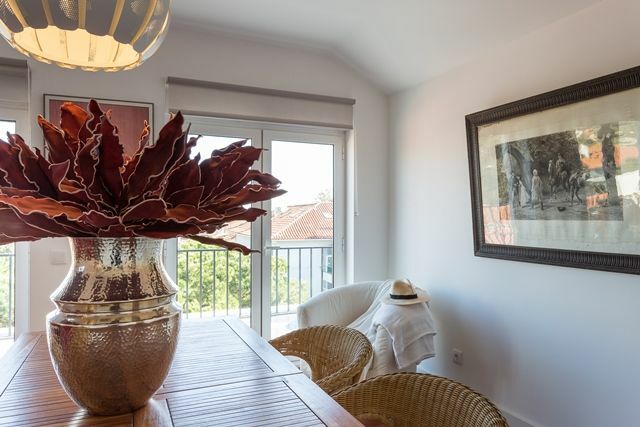 Heerlijk ruim zonnig terras wat een penthouse gevoel geeft. Tha apartment is centrally located next to the local mercado. There is a small grocery shop in the basement and a local bakery next door. 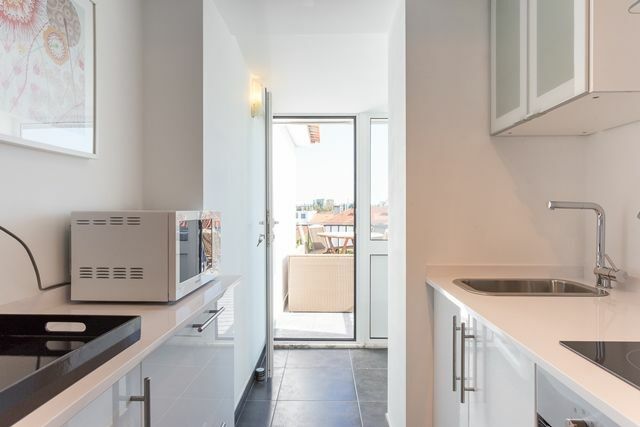 The apartment was clean, fully equipped kitchen and a great balcony with good sun conditions. No air-condition so sometimes hot during night time. Anyway good value for money. 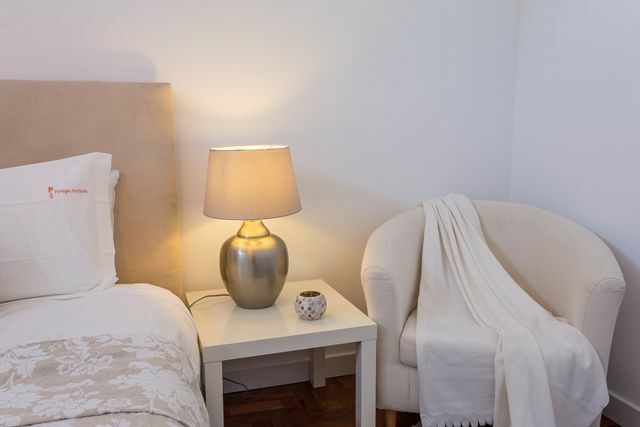 The accommodation is spacious and clean with all the necessary equipment to hand. 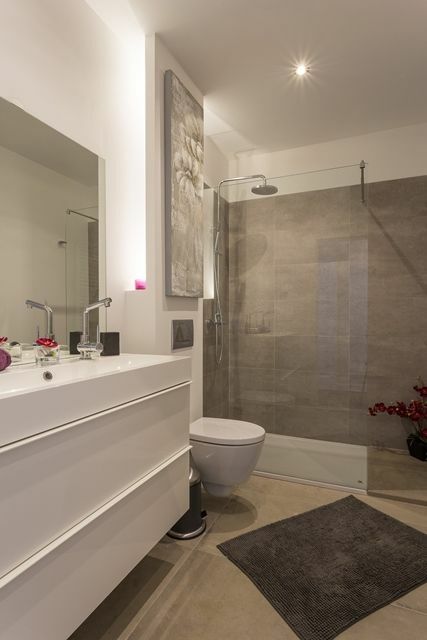 Its location is close to all amenities including rail and bus services. Any issues requiring advice or assistance is readily available. I would strongly recommend this apartment. Thank you all for your assistance during our stay.